Posted on 12 May 2016 under History, Pacifism, Theory. The atmosphere of an unprecedented gathering on nonviolence at the Vatican — where change-makers from every part of the globe deliberated with priests, bishops and the Catholic Church’s top officer for justice and peace — was electric from beginning to end. The “Nonviolence and Just Peace Conference: Contributing to the Catholic Understanding of and Commitment to Nonviolence” took place in Rome, from April 11-13. Eighty-five lay people, theologians, members of religious congregations, priests, and five bishops traveled from Africa, the Americas, Asia, Europe, the Middle East, and Oceania to take part in this landmark gathering, which I helped to organize. Many participants live and work in contexts of extreme violence and injustice, and came seeking a bold new direction from the global church. The Vatican’s Pontifical Council for Justice and Peace, Pax Christi International and other Catholic organizations from around the world sponsored the first-of-its-kind assembly. The head of the Pontifical Council, Cardinal Peter Turkson, opened the conference with a warm message of support from Pope Francis, who said, “Your thoughts on revitalizing the tools of nonviolence, and of active nonviolence in particular, will be a needed and positive contribution.” The gathering ended three days later with a dramatic consensus process that called on the Pope to issue an encyclical — a major Catholic church document — on active nonviolence. Taking the pope’s words to us seriously, the conference’s final text urged the church to integrate nonviolence at every level of the global institution — including in the dioceses, parishes, agencies, schools, universities, seminaries, religious orders and voluntary associations — and also called on it to no longer use or teach the so-called “just war” theory. This landmark gathering had been in the works for over a year. In March 2015, I joined the planning committee, which involved those of us from El Salvador, the Philippines, Japan, Italy, Australia, Britain and the United States working with the Pontifical Council to craft an agenda that would be interactive and productive. 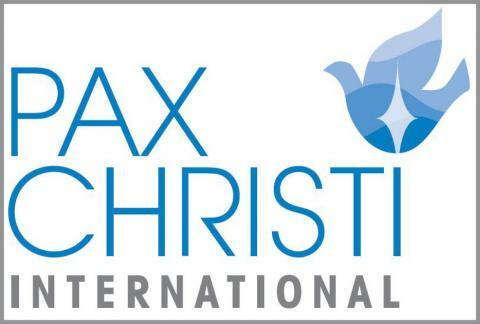 Marie Dennis, the co-president of Pax Christi International, drew on her considerable experience of organizing international gatherings to create a process where everyone would be heard. EDITOR’S NOTE: Ken Butigan is director of Pace e Bene, a nonprofit organization fostering nonviolent change through education, community and action. He also teaches peace studies at DePaul University and Loyola University in Chicago; article courtesy wagingnonviolence.org.